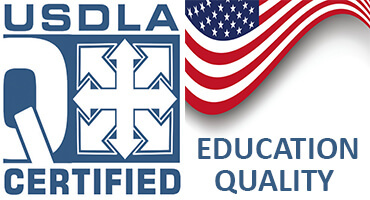 Walden University (USA), headquartered in Minnesota, is a part of a global network of 80 universities across 29 countries owned or managed by Laureate Education Inc. This network includes a mix of both for-profit and public benefit universities, with most of those operations located outside of the United States. Walden University (USA), a part of the Laureate Education network, also includes partnerships with established institutions such as The University of Liverpool (online), University of Roehampton (online), Xi'an Jiaotong-Liverpool University (China), and Monash University (South Africa). Darryl Herrington, a Bircham International University graduate, was encouraged to join a research program at Walden University (USA). OPINION & TESTIMONY: My experience with Bircham University in Madrid Spain was very rewarding. Working with my advisor was of great help. He was an inspiration to my spirit and encouragement to complete one of my life's goals set when I had first entered University many years ago. Having to work to support my home and family I was encouraged by all to complete my dreams. Having succeeded from my studies and hard work I have grown in confidence and mental abilities. I share my knowledge with others to help better their lives and tasks. I take pride in Bircham University as being one of the best international universities where its students share from their world experiences. My mind was not confined to traditional classes and limited experiences. From the use of the Internet our time has come to expand our minds into the far reaches where there is no limits. Like an old Chinese proverb, "seek not to find answers but seek to understand the questions". 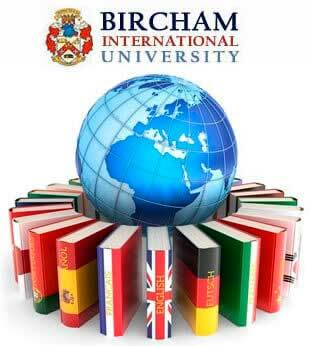 Bircham University provided ability for me to accomplish this as ongoing in my quest for knowledge. Thank you Universidad Bircham Madrid de España. I am now living back in Texas. I have left the company that I was with in Australia and am now working with a major oil company and with one of the largest oil industry engineering companies. I am a chief consulting engineer responsible for deep offshore drilling and completion engineering operations. Just before being accepted for work with these companies, they had a full back ground check made on me as well as looking into my Ph.D. degree from Bircham University and other education degrees plus my engineering certification. I was passed with a full acceptance for work and ability. This was good for I thought that maybe someone would make a debate over my schooling with Bircham University. But this was not the case. They were proud to have me on board handling critical engineering applications with responsibility of 150+ million dollar drilling programs. I have been approved by the UK government Engineering Councils Register for professional engineer. I thank you and all at Bircham University for your support and advanced education. I will continue to do my best and provide good engineering practices and respond to the needs of others. I will serve in good standing all that I had learned from Bircham University. Well you will not believe this, after a long interview via phone conference with the director of the school science department from Oxford University in the UK and with two key professors and from many difficult questions, I thought that I would not be accepted. They asked me many things on my past schooling dating back when I first went to college and my studies and grades to my time up to Bircham University and my experiences with Bircham studies programs. After the interview I thought that I had not done well and that it was over as far as me being accepted or attending school at Oxford University. The next day the school phoned me and also sent a special delivery letter and sent an email stating that I am accepted to attend University of Oxford post graduate studies in Nanotechnology. I had been selected one out of hundreds that had applied. I was also admitted at Walden University in Florida. The president of Walden University wrote a personal letter to me explaining how a distance learning degree program, like the one from BIU, is very well considered by the US Department of Education and by them. See attached.